ario Bava was born on July 30, 1914, in San Remo, Italy. The son of cinematographer/special effects designer Eugenio Bava, young Mario grew up surrounded by film. So strong was his father's influence on him that Mario gave up his initial desire to be a painter to pursue a career as a cinematographer. He got his break in the 1930s, assisting his father initially, and then branching off as a distinguished cinematographer in his own right. 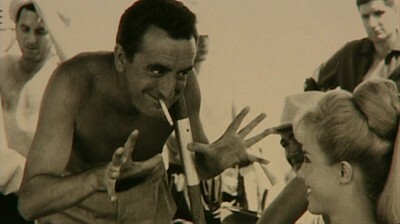 By the 1950s, Bava's innovative lighting techniques and his genius at creating realistic special effects on a shoestring cemented him as one of Italy's top film technicians. Hired by his friend, director Riccardo Freda, to provide the lighting and special effects for I VAMPIRI (1956, aka THE DEVIL'S COMMANDMENT), he ended up directing half of the film in a mere two days after Freda had a disagreement with the producers. Historically significant as the first Italian horror film of the sound era, the film was a commercial flop. It was Freda's contention that Italian audiences didn't like the idea of an Italian horror film, so he hid behind the psuedonym Robert Hampton when he directed the tongue-in-cheek CALTIKI -- IL MOSTRO IMMORTALE (1959, aka CALTIKI, THE IMMORTAL MONSTER). Once again, Bava (credited as John Foam, "foam" being the English translation of "bava") was called upon to complete the film, which he also lit and provided the gruesome special effects for, when Freda walked. As a result of rescuing yet another troubled production, Jacques Tourneur's spectacle THE GIANT OF MARATHON (1959), Bava was given the opportunity of directing any film he chose, so long as it didn't cost too much money. Inspired by the recent success of Terence Fisher's Hammer production of DRACULA (1958, aka HORROR OF DRACULA) with Christopher Lee and Peter Cushing, Bava decided to make a horror film of his own. The result was LA MASCHERA DEL DEMONIO (1960, aka BLACK SUNDAY/MASK OF SATAN), a film that stood as a perfect synthesis of the Germanic expressionism of the silent era horror films (and its imitative Universal cycle in the 30s and 40s), and the more emboldened expression of violence and sensuality of the Hammer films -- this aspect, combined with Bava's peculiar sense of irony and dark imagination, helped to make LA MASCHERA into a worldwide success with audiences and critics. 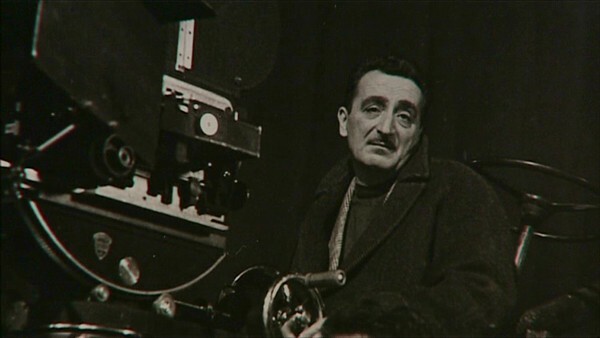 Bava's subsequent films encompassed everything from gothic horrors (LA FRUSTA E IL CORPO) and pop art fantasies (DIABOLIK) to spaghetti westerns (LA STRADA PER FORT ALAMO) and action epics (GLI INVASORI). No matter what the subject matter, Bava's obsession with key themes like the deceptive nature of appearances and the destructive capacity of human nature shone through, and his wholly distinctive visual style endeared him to a generation of film fanatics. For all of that, his name remains essentially unknown. Based on the testimony of his collaborators, this is perhaps not very surprising. Bava's own view of his talent was colored by a lack of confidence, and his basic shyness prevented him from taking advantage of opportunities which would have made his name more internationally known. Fortunately, recent film sensations like Martin Scorsese and Quentin Tarantino have loudly championed his efforts, thereby establishing him as one of the most influential figures in modern cinema. In his film SEI DONNE PER L'ASSASSINO (1964), he created and defined the "giallo" -- a form of the thriller which concentrates on violent death as opposed to prosaic police procedural. ("Giallo," Italian for "yellow," refers to the yellow covers of the Italian crime novels of the era). This film alone has had a tremendous influence on the work of Dario Argento, Lucio Fulci and John Carpenter. Sadly, Bava was not appreciated during his lifetime, and the unfortunate outcome of two pet projects (LISA E IL DIAVOLO, 1972, and CANI ARRABBIATI, 1974) soured his enthusiasm for filmmaking during the latter part of the 1970s. Enlisted by protegee Dario Argento to provide some key effects for his hallucinatory nightmare classic INFERNO (1980), Bava went uncredited on the final print, though Argento has often spoken of his contribution with much gratitude. Sadly, the film proved to be the last on which he ever worked. 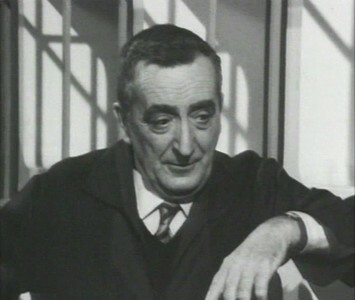 On April 25, 1980, Mario Bava died of a heart attack at the age of 65. A mere four days later, Bava's better known Anglo counterpart Alfred Hitchcock also passed away. Just as much as Hitchcock, Bava's films have had a tremendous influence on the development of the modern horror/thriller film, yet his genius is only just beginning to be recognized. Bava will perhaps never find the audience acceptance of a Hitchcock -- his films are too stylized, too disturbing and too weird for that type of adulation -- but for serious film buffs, his filmography remains one of the most distinctive and consistently satisfying in the history of film. This web page is forever dedicated to his memory, and ideally serves as a form of "payback" for the countless hours of entertainment his films have provided to his loyal followers.